Don’t discount Redzel – that’s the early warning from Team Snowden ahead of the gelding’s clash with star stablemate Russian Revolution in the Doomben 10,000 on Saturday. Trainer Peter Snowden co-trains both sprinters with son Paul and finds it difficult to separate the pair in the Group 1 feature which will be run over 1200 metres this year. Snowden senior is chasing his third Doomben 10,000 after claiming the race with Beaded in 2011 and the last three-year-old to win the race, Epaulette in 2013 when the race was run over 1350 metres. Doomben is in the heavy range and Snowden rates Redzel a superior wet tracker than Russian Revolution who led and weakened on a heavy track to finish sixth to Chautauqua in the Group 1 T J Smith (1200m) at Randwick on April 1. Redzel is having his first start since claiming the Group 3 Hall Mark Stakes on a heavy track at Randwick in mid-April which followed a close second to Russian Revolution on another heavy track in the Group 1 The Galaxy at Rosehill on March 18. “There’s not a lot between them and luckily they’ve both drawn well and can handle heavy tracks,” Peter Snowden said. “The last time they met in The Galaxy there was only a short neck between them. 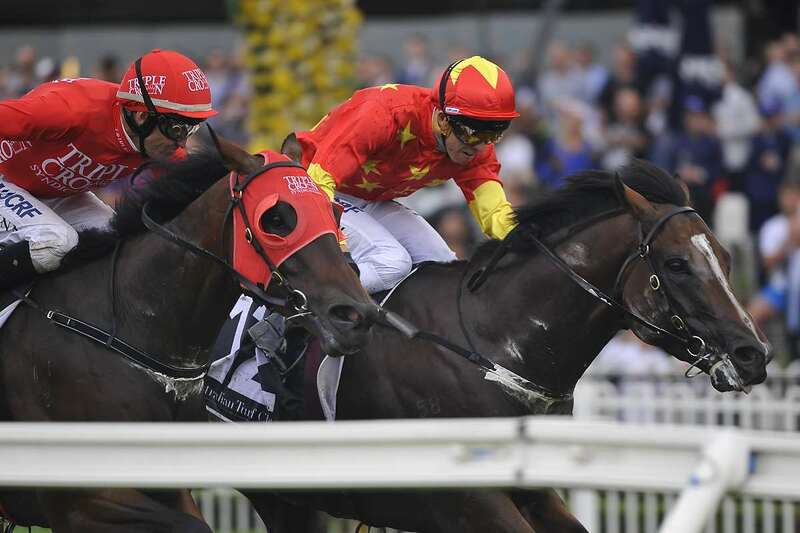 “Redzel is probably the better horse on a heavy track but Russian Revolution is a very promising three-year-old on the way up. In latest UBET markets, Russian Revolution remains a clear $3 favourite for the Doomben 10,000 with Redzel at $7.50. Last year’s Doomben 10,000 winner Music Magnate separates the pair on the second line at $6. Snowden is undecided if both his sprinters will continue their Brisbane campaigns past the Doomben 10,000. “I’ll see how they both run on Saturday first but there’s a good chance they could both spell immediately to prepare for the spring after the 10,000,” Snowden said. Russian Revolution has won five of his seven starts in Sydney and Melbourne but Snowden fears the race’s weight-for-age conditions. “He’s only a three-year-old and I think he’s badly weighted against some of the more seasoned sprinters,” he said.